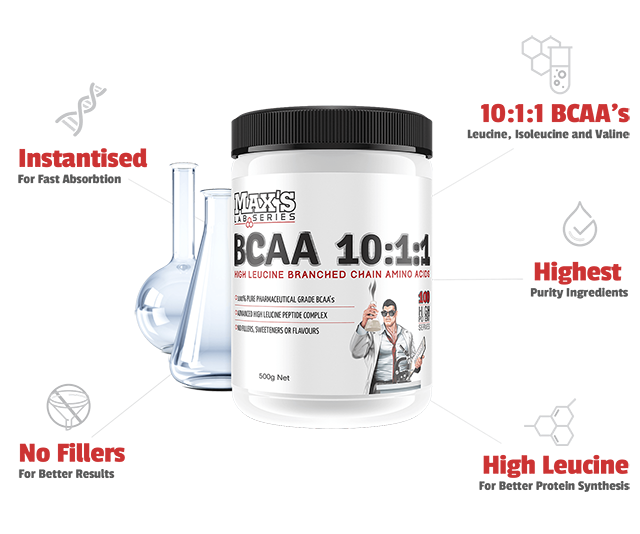 Maxs BCAA's 10:1:1 represents the cutting edge of Branched Chain Amino Acid formulas. BCAA's have long been associated with increased energy and accelerated recovery. 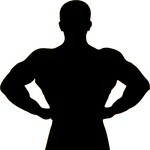 But only recently has the importance of L-Leucine in particular become understood. Studies show that much higher levels of L-Leucine are dramatically more effective at switching on the M-TOR pathways, the mechanism turns on muscle anabolism after hard training. It depends on your recovery process. BCAAs are designed to be taken for improving endurance and reducing fatigue. If so, it is best take it during your workout for extra energy or you can take it after your workout to fasten the recovery process. If i am taking a protein shake after workout that has BCAAs in it. Do i need Maxs Hybrid BCAAs on top or is it too much for the body? Pure Pharmaceutical Grade micronized L-Leucine, L-Isoleucine, L-Valine, Instantised BCAA's, Pepform Leucine peptides. Take 1 serving (1200mg) 30-45 minutes before workouts and/or immediately after workouts. Mix in fruit or juice or your favourite beverage.